carriewriterblog: 5 Surprising Marketing Lessons from "Mr. Holland's Opus"
5 Surprising Marketing Lessons from "Mr. Holland's Opus"
Last night, I avoided the Mad Men Finale frenzy (saving last episode on iTunes for tonight! ), and was pleased to discover a suitable piece of entertainment, "Mr. Holland's Opus," not entirely a departure from the Mad Men 60's-70's time warp. 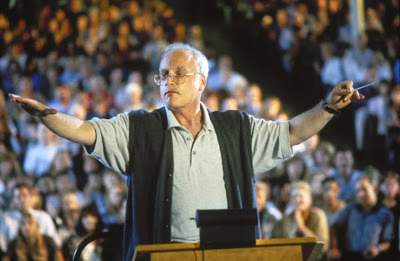 This 1995 "pre-Glee" film starring Richard Dreyfuss, follows the 30-year career of a music teacher at an Oregon high school, whose life-lessons, from tenacity to morals, while somewhat shmaltzy, resonate, and were refreshing for this viewer. From Wikipedia: "In 1965, Glenn Holland (Richard Dreyfuss) is a professional musician and composer who has been relatively successful in the exhausting life of a musical performer. However, in an attempt to enjoy more free time with his young wife, Iris (Glenne Headly), and to enable him to compose a piece of orchestral music, the 30-year-old Holland accepts a teaching position. Unfortunately for Holland, he is soon forced to realize that his position as a music teacher makes him a marginalized figure in the faculty's hierarchy. He comes face to face with how seriously he is outranked by the high school's football coach, Bill (Jay Thomas), who ultimately becomes his best friend. Administrators, such as vice principal Gene Wolters (William H. Macy), dislike him, while others, including principal Helen Jacobs (Olympia Dukakis), remind him that he should not teach just because of financial reasons. It is Mrs. Jacobs' scolding that helps Holland turn a corner. 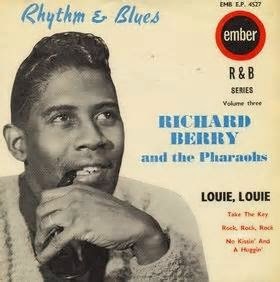 He starts to use rock and roll as a way to help children understand classical music. Reluctantly, he begins seeing his students as individuals and finds ways to help them excel." 1. Be "Edutaining:" When Glenn realizes he is boring his "Music Appreciation" class students, and even himself, he realized that he can still teach effectively while being entertaining. Playing musical examples on the piano and parts of hit songs on records, he provides lively examples to illustrate his points, and his classes come to life, while he himself becomes invigorated. Communicate in as interesting way as possible to get your message across. This is true content marketing. 2. Be a Great Storyteller: Glenn tells quite a few stories during the course of the movie, including one to his wife when she announces she is pregnant, about how he grew to love Coltrane and jazz despite not being used to it at first. They help us understand more about his character, the way he thinks about things, and ultimately the way he influences others. Grab your audience's interest by hooking them with a great story. 3. Don't Give Up and Don't Let Others Give Up: Glenn encounters several challenges throughout his career, including trying to teach a frustrated Alicia Witt how to play the clarinet, and how to teach drums to a student with no rhythm, with whom he spends extra time doing everything from stomping his feet, to clapping the student's hands to the right rhythm, to dancing around to all kinds of music including the irresistible Louis Louis, (an entrancing song based on the same 3 chords repeated over and over again, we learn.) Inspiring Witt's character Gertrude not to give up on the clarinet, (she is just about to), he encourages her to close her eyes as she plays, think about "sunsets" (the color of her hair), and "feel" the music, so to speak. And she nails it. Persistence pays...be passionate and tenacious, and it will pay off in business and other aspects of your life. 4. Be Personal When It Counts: Glenn's relationship with his son Cole is troubled through much of the first half of the film. But in a breakthrough scene where Glenn is determined to communicate with him, he tells the audience about his deaf son Cole, signs John Lennon's "Beautiful Boy," and brings the audience to a standing ovation and Cole to tears. Don't be afraid to be transparent... a little goes a long way. 5. Take Calculated Risks and Leverage Your Assets: Halfway through the film, Glenn is tasked with revamping the poorly received high school marching band. He enlists the help of his friend and football coach to organize the band members, works on logistics and synchronized marching as something new in his bag of tricks, and then has a glorious moment several weeks later as the marching band takes over the hometown parade in all its glory. Try something new, versatility rules. So, what say you? Have any films you've seen recently inspired your marketing? Share your thoughts in the Comments!